One Fat Frog Restaurant Equipment has a disgusting amount of used and new commercial fridges, freezers, and coolers available at the One Fat Frog Restaurant Equipment Super Mega Warehouse in Orlando. Specific models suit specific needs and in the case of glass-door fridges, they’re perfect for spotting the product you need before you open the door – allowing for swift product recovery. They also make counting stock a bit easier and help save energy too! Let’s peek inside the mighty, mighty, glass-door fridge. So if you’re looking for high quality equipment that’s back up with a warranty, come into One Fat Frog Restaurant Equipment! 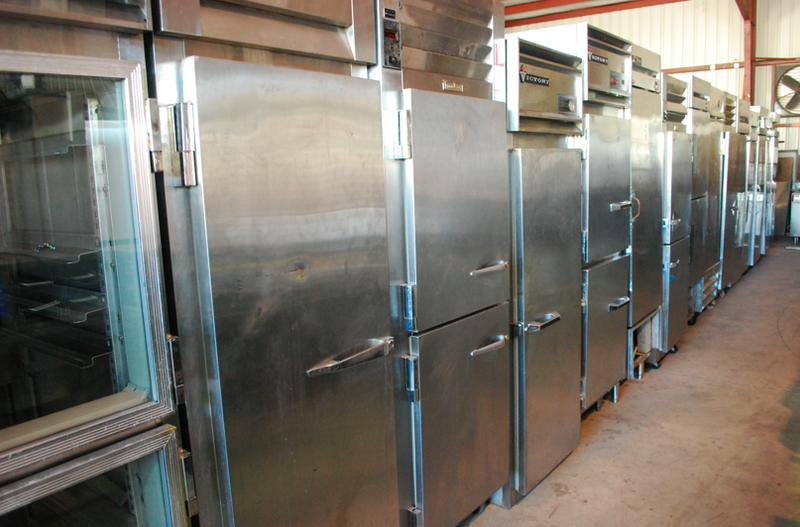 One Fat Frog Restaurant Equipment can also get you financed for all of the used commercial restaurant equipment you need – including double range gas ovens. One Fat Frog Restaurant Equipment also offers quick cash discounts and package deals on the entire stock of used commercial restaurant equipment. Come by One Fat Frog Restaurant Equipment today!